Home Styles French Countryside Collection boasts posh charm. From the proud French leg design to the unique one of a kind rubbed finish, the Home Styles French Countryside Collection is a flawless balance of warmth and elegance. 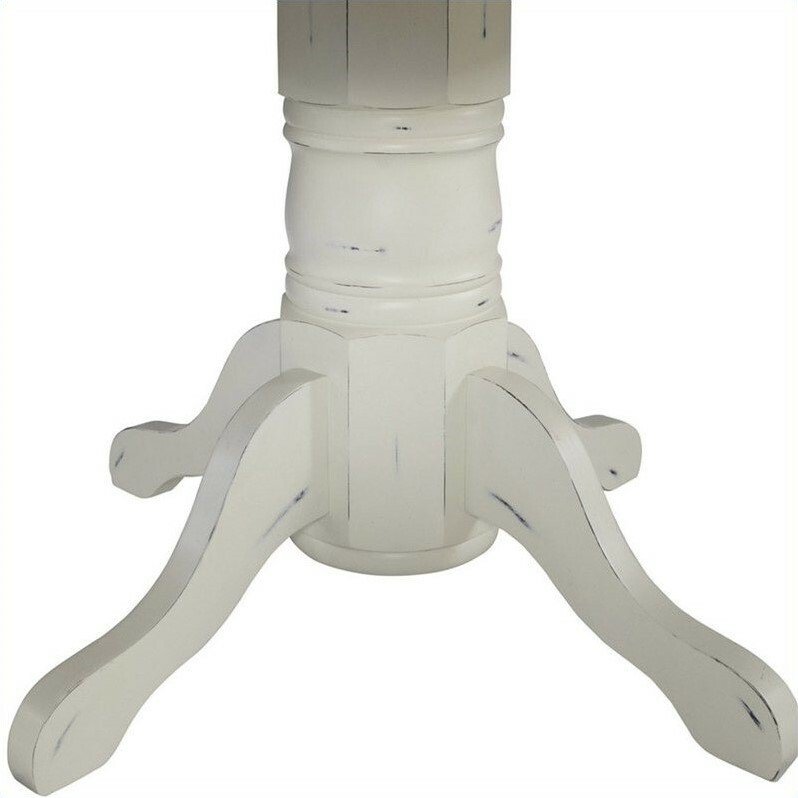 The pedestal table is constructed of hardwood solids and engineered wood in a distressed oak and heavily rubbed white finish. The oak top features several distressing techniques such as worm holes, fly specking, and small indentations. 42 inch round table. Assembly required.